The product consists of molding aluminum, polyethylene foam and medical tape. This product is mainly used for the external fixation of chest fractures and swelling parts of the body. 1. According to the action site, choose the right type of splint. Let the patient raise his hands. After inhale, on the corresponding part of uninjured side, press out the rib profile. 2. Use alcohol to clean action site. Open the outer covering film of the arrow position. Make the direction of the arrow be in line with ribs. 3. Have the splint attached to the fracture zone. 4. 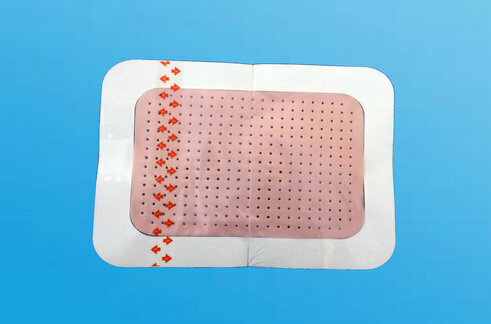 Remove the outer covering film, and paste it on the skin.